“Family-owned Shop ‘n Save Express Stores carry name brands at a competitive price,” Philippi Manager Scott Skidmore said. “We are open seven days a week, and offer in-store specials and honor customers’ special requests in addition to our weekly ads”. 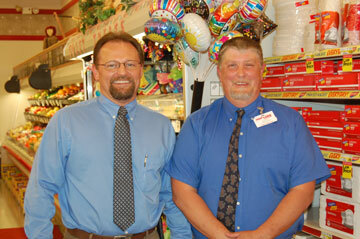 The Belington Shop ‘n Save Express is located at 806 Crim Avenue, telephone 823-3104. The Philippi store is located at 125 Blue & Gray Expressway, telephone 457-1890. The stores’ web address is www.shopnsavefood.com.